This Caturday, we will be waving our pretty little tails to the retro charming sounds of Tennis. 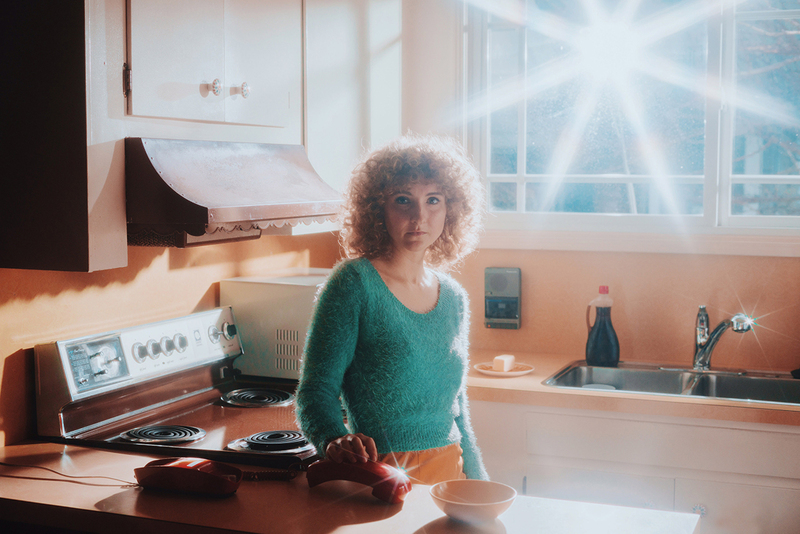 Alaina, the band’s frontwoman, captained us through the major themes in their latest album, Yours Conditionally and shared her favourite tracks in a playlist for a perfect weekend. Yours Conditionally seems to contradict the idyllic romantic idea of unconditional love. It also raises questions about personal identity in relationships. Is that intentional? My understanding of marriage and unconditional love is complex, challenged by feminism and need for autonomy within a relationship. I don’t often see nuanced discussions of love and identity in pop culture. There are lots of songs about new love, burning infatuation or heartbreak, but what about old love, ten years in? That’s the stage I’m at in life. I want to see my experience reflected in the world around me, so I had to make it myself. Identity, archetypes, love, self-sacrifice and feminism are some key words we can extract from Yours Conditionally. Can you tell us a bit more about them? I’m interested in marriage and feminism, because marriage is a patriarchal invention and feminism is a critique of patriarchy. I wondered, how can I be a feminist and get married? How much convention can I have, and how much should I reject? I wish I had an answer to that question. I don’t. It lives with me as a constant negotiation and I try to write songs about that. Music fills in the gaps left between words. The two of you sailed away to write songs seasoned with salty winds and floating melodies for this album. What is it like creating out at sea? It’s much easier. The challenge of writing is eclipsed by the much greater challenges of captaining a ship at sea. It frees up my mind to do what it wants without the doubt and criticism that usually plagues my writing. Is the curated photo album of sailing travels you are releasing a tribute to your connection with the ocean? It’s more of a desire to archive these experiences and share them in a way that translates what it is like to live on a sailboat. I want to convey the everydayness, the mundane reality of sailing, with someone who has never been on a boat. There’s also a sweet nostalgic 60’s and 70’s vibe to your aesthetics. What’s the magic those years bring you? I found a home for my voice and writing style in that era. It was mostly accidental. Something clicked when I listened to Carole King, Laura Nyro and Judee Sill. Tennis has a unique sensory universe that escapes a little from reality that probably caught the surrealist David Lynch’s attention… What was it like working with him? It was an incredible honour performing at his benefit concert. The soundtracks of his films are hugely influential to me. The first time I was viscerally affected by a film and understood how it could be art rather than entertainment was when I saw Mulholland Drive. A formative experience at fourteen. We haven’t discussed live performances yet. What do they mean to you? Performing live is always rewarding, but occasionally marred by stage fright, my constant companion. I’m always struggling to overcome it. I don’t always succeed. The past and the future show up as two forces pushing and pulling through a sweet net of sounds and words in your work. Is this the way you build your present? This might be due to the influence of sailing on my perception of time. My days are ordered by daylight and wind direction. I check the wind and wave predictions and that’s that. You start to forget how long you’ve been gone. Events begin to blur. It’s one of the things I love about sailing. Yours Conditionalis is out now and Tennis will be performing it live in London on June 2nd and 3rd, tickets are available here.